D.V. Shylendra Kumar And Mrs. B.S. Indrakala, JJ. 1. These five appeals under Section 260-A of the Income tax Act, 1961 are by the Income Tax Department/revenue against a common order dated 27.7.2006 passed by the Income-tax Appellate Tribunal, Bangalore Bench ‘B’ in IT(SS)A.No. 13 to 17/Bang/06 relating to the block assessment period 1989-90 to 1999-00 in respect of each of the respondent in these appeals. 2. The revenue being aggrieved by the common order passed by the Tribunal allowing the appeals filed by individual assesses to set aside the orders passed by the appellate commissioner as also the orders passed by the Commissioner – CIT in five appeals of the assesses before him and also the orders dated 5.10.2005 with reference to applications filed by the assesses dated 3.10.2005 under Section 154 of the Act rejecting the same, has come before us. 3. The tribunal under the common order, set aside the order passed by the Commissioner of CIT (Appeals), directed the Assessing Officer to pass orders on the rectification application dated 3.7.2001 and allowed the same in accordance with law. 4. The revenue contending that the Tribunal has-: proceeded on a totally erroneous assumption that the application filed by the assesses seeking for rectification of the order of the Assessing Officer unless rectified will amount to taxing an income twice; that the income of Rs. 20.00 lakh as had been originally offered by the assesses in each case was an income that is required to be deleted as it was offered by mistake and that such income had been offered and assessed in the hands of another company by name M/s Mulberry Silks Limited (MSL) who had offered the amount for tax for the very block assessment period and it was the subject-matter of proceedings before the settlement commission on an application filed by the other assessee viz., MSL and therefore bringing to tax the very amount in the hands of the present respondent/the assesses, the appellants before it, was not proper and they should be allowed to rectify the returns filed by offering the amount as its undisclosed investment in another company by name M/s Mulbery Silk International Limited (MSIL). The revenue has contended that the amount which the respondent/assesses had offered as its undisclosed investment to the extent of: Rs. 20.00 lakhs in the hands of each of the assesses in the company M/s MSIL in fact, was not subjected to tax in the hands of the other company viz., ‘M’/s MSL but the Tribunal proceeded on the erroneous assumption that it had been offered and taxed in the hands of M/s MSIL and therefore, should not be taxed in the hands of the individual assessees/respondents in these appeals and they should be permitted to resile by means of a rectification application. 5. The whole episode and the proceedings have a background. 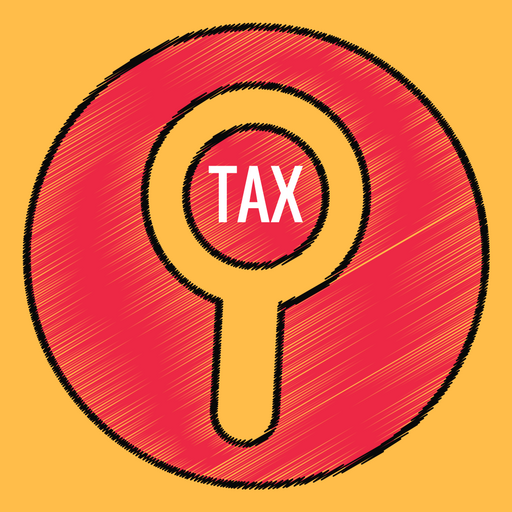 The income tax authorities had an occasion to search the premises of M/s MSIL under the provisions of Section 132 of the Act as on 25.1.1999. On that occasion, the authorities had seen the unexplained investments in the books of the company to the tune of Rs. 4,84,88,500/- in respect of these amounts which otherwise would have been taxable in the hands of the said company M/s MSIL as its undisclosed income being credits not explained properly, each of the respondents/assessees in the five appeals had come forward and made an offer that they had invested a sum of Rs. 20.00 lakh each and the offer to tax this investment as their undisclosed income of the earlier years so that the unexplained investments found in the books of the company M/s MSIL brought down to Rs. 3,84,88,500/-. The return was filed offering as income by each of the assesses. It is this offer and the returns filed by the respondent/assessees in each of these appeals which have become the subject-matter of dispute and debate in these appeals. 6. As a consequence, the Assessing Officer assessed only an amount of Rs. 3,84,88,500/- in the hands of the company where in the amount was found to have been not accounted for when search had been conducted, excluding the amount as offered and returned by each of the five respondents/individual assessees. Such order came to be passed by the Assessing Officer in the hands of the company as on 31.1.2001. 7. Incidentally, it so happened that all the five respondents/assessees also happens to be relatives and members of one family and also the directors of the company M/s MSIL. The company followed up the matter by filing an appeal and met with success before the Tribunal insofar as the assessment in its hands is concerned. 8. In the meanwhile, another company by name M/s MSL – the sister concern of M/s MSIL in which the respondents/assessees in these appeals were all common directors, made an offer before the settlement commission offering an amount of Rs. Rs. 4,84,88,500/- as their share capital invested in M/s MSIL and the entire amount had been invested by the company itself and some balance investment in the share capital by M/s MSIL was by some other person as per its application dated 18.6.2001 and ultimately its application under Section 245D(4) of the Act came to be disposed of by the settlement commission on 30.3.2005 and the returns filed by the respondent/assessees disclosing the income of Rs. 20.00 lakh for the block period, the assessment order came to be passed in the case of Sri Rajendra Kumar Bothra – the respondent in ITA 91/07 on 31.1.2001 and in respect of the other four appeals which had been passed on 19.6.2001 determining their tax liability inclusive of interest and penalty and this had been followed by raising demand. 9. However, it is submitted at the bar that the assesses had filed revision petitions before the Commissioner as against these assessment orders and it was pending before the revision commissioner. 10. In the proceedings before the settlement commission, on the application filed by M/s MSL offering an undisclosed income of Rs. 4,84,88,500/-, the settlement commission ultimately by passing final orders accepted only an amount of Rs. 2,65,04,026/- as the undisclosed income of the applicant by way of its investments in shares in MSIL and did not accept the entire amount of Rs.4,84,88,500/- as had been offered by the applicant. 11. It is after conclusion of all these proceedings, the respondent/assessees had given applications before the Assessing Officer seeking for rectification of the earlier assessment order in respect of each of them by giving an application on 3.10.2005 (wrongly referred to as the applications dated 3.7.2001 in the order of the Tribunal). Under the applications seeking for rectification, each of the assessees wanted to go back on their declared income of Rs. 20.00 lakh as their share capital investment in M/s MSIL and on the premise that this amount formed part of the amount offered by M/s MSL and by mistake the amount had earlier been offered by these assessees as their investment to the extent declared in the hands of each of the assessees and therefore, the assessment order be rectified by deleting this amount of Rs.20.00 lakhs from the earlier undisclosed income now disclosed by each of the assessees. The applications filed under Section 154 of the Act having been rejected by the Assessing Officer as per his orders dated 5.10.2005 (copies produced as Annexure “C” in each of these appeals) the assessee had preferred appeals to the CIT (Appeals). The appellate commissioner examined each of these appeals preferred by the five assessees which came to be dismissed by the CIT – Appeals following the view taken in the case of one of the assessees viz., in the appeal preferred by Rajendra Kumar Bothra though in each appeal, merits of each of the appeal has been discussed. 12. CIT (appeals) opined that an application under Section 154 can only be in respect of an order where a mistake is apparent from the face of the record, that no such mistake existed in the assessment order passed by the Assessing Officer; that the Assessing Officer simply proceeded on the premise of a return that the assessee himself had filed and had offered a sum of Rs.20.00 lakh as undisclosed income of the earlier period and by way of investment in the shares of M/s MSL and therefore, there was no occasion for the Assessing Officer to rectify this order etc. 13. It is as against these five orders passed by the CIT – appeals rejecting the appeals of the assessees in each : of their appeals, the assessees preferred further appeals to the Income Tax Appellate Tribunal and as noticed in the five appeals, the income tax appellate Tribunal proceeded to pass a common order which is the subject-matters of these appeals. 14. The appellate Tribunal allowed all the five appeals mainly on the premise that the amount was the subject-matter of search and investigation at the premises of M/s MSIL for a sum of Rs.4,84,88,500/- that the entire amount has been offered as the undisclosed income of M/s MSL by way of share investment in M/s MSIL in the application filed by M/s MSL and before the settlement commission under Section 245D(4) of the Act and when such entire amount of Rs.4,84,88,500/- had already been offered as the undisclosed income of another company M/s MSL and brought to tax in its hands, it is only proper that it is not subjected to tax in the hands of the appellants/assessees and in this view of the matter, the application for rectification should have been allowed by the Assessing Officer. 15. The Tribunal also made a reference and relied upon its earlier order passed on 12.8.2005 in IT(SS)A No.11/Bang/2002 taking a similar view that as the entire amount of Rs. 4,84,88,500/- had been offered by the sister concern of M/s MSIL and therefore the Assessing Officer bringing to tax a sum of Rs. 3,84,88,500/- as the income of M/s MSIL after excluding Rs.1.00 crore amount which had been offered by the directors was not sustainable and therefore, allowed the appeals. 16. It is as against the common order passed by the Tribunal in the case of these five respondents/individual assessees, the present appeals by the revenue. 17. What is vehemently urged by Sri Aravind, learned standing counsel for the income tax authorities, is that the Tribunal proceeded on the erroneous assumption that the amount detected as the unexplained amount in the books of accounts of M/s MSIL during the search by the income tax authorities as on 25.1.1999 instead of assessing in the hands of the very assessee had been offered by its sister concern M/s MSL as its investment by way of share application in that company, had been assessed in the hands of the sister concern and therefore, part of this amount i.e., a sum of Rs. 20.00 lakh in the hands, of each of the respondent/assessees which had been offered cannot be. brought to tax again; that it was a clear mistaken assumption as the settlement commission in fact had accepted only an amount of Rs.2,65,04,626/- by way of investment by M/s MSL in the share capital of M/s MSIL and as has been indicated in the order of the settlement commission i.e., settlement commission had not examined for settlement and the application of M/s MSL for any amount more than Rs.2,65,04,626/- and as such, it has still left as an unexplained amount in the hands of M/s MSIL and to the extent each of the 5 respondents assessees had tried to fill in the gap by making it an amount of Rs. 1 crore and a sum of 20 lakhs each, had not in fact been brought to tax either in the offer made before settlement commission or in the hands of M/s MSIL as even in the hands of M/s MSIL the amount that had been brought to tax as its undisclosed income was only the amount after excluding the offer of Rs.20.00 lakh each of the respondents/assessees and such a mistake or assumption has clearly vitiated the order. 18. Learned counsel also submits that though in the case of the Company M/s MSIL, the view taken by the appellate Tribunal has been affirmed by this Court in the further appeal by the revenue by dismissing ITA 170/06 as per order dated 12.12.2011 for passing this order this Court had also proceeded on the assumption as has been made by the Tribunal and the lower authorities and the matter had not been examined and therefore, at any rate, the assessees being different on the mistaken assumption is clear, matter warrants examination and therefore, questions posed in these appeals should be answered in favour of the revenue and against the assessees. 19. For such purpose, Mr Aravind has drawn our attention to the order of the settlement commission dated 30.3.2005 and the computation of tax in that and the total undisclosed income of M/s MSL is taken only to be Rs. 2,65,04,626/-. It is also contended that what was sought for rectification is not the order of assessment passed by the Assessing Officer but a rectification of the return that had been taken by the assessees and correction of a return which had been filed by each of the assessees withdrawing that offer of Rs. 20.00 lakhs is nothing but the rectification of the return and not the order and therefore, such a request not being within the scope of Section 154, there is no occasion for the Tribunal to remand the matter to pass orders afresh on Section 154 application. 20. On the other hand appearing on behalf of the assessees Mr Parthasarathy and Mallaha Rao have vehemently contended that the respondents/assessees will be able to demonstrate that the amount of Rs. 1.00 crore in the hands of each of the assessees at Rs. 20.00 lakh which has been offered and it was sought to be rectified had been examined by the settlement commission and the Tribunal and had been brought to tax. Just because the Tribunal has not made a detailed order to discuss as to how this amount had already been subjected to tax, does not mean that it had not been subjected to tax and also that M/s. MSL was able to convince the settlement commission that the entire unexplained investments by way of share capital found in the hands of M/s MSIL had been properly explained and accounted by the applicant before the settlement commission and therefore, independent of Rs. 2,65,04,626/- brought to tax in the hands of M/s MSL, the other part of the amount had been explained for, there is no occasion for the respondents/assessees to offer the very explained amount as part of its undisclosed income yet again. 21. We notice from the sequence of events insofar as the respondents/assessees are concerned, their applications seeking for rectification was filed before the Assessing Officer for the first time on 3.10.2005 however, Mr Parthasarathy – learned counsel for the assessees submits that much before the filing of the applications, the assesses had retracted from the offer of their Rs.20.00 lakh in terms of each of the assessees as their investments in M/s MSIL and as their undisclosed income of the block period and it is only because the request was not considered, the assessees came up with the application under Section 154 for rectification. 22. However Mr Parthasarathy has made a plea for remanding the matter to the Tribunal to enable the assessees to make good their case and Tribunal to bestow its attention to make an explicit order about the precise question as to whether the amount of Rs.20.00 lakh in the hands of each of the assessees at Rs. 1 crore had in fact been brought to tax in the hands of any of the players in the drama viz., in the hands of M/s MSIL or in the hands of M/s MSL. 23. Perhaps this argument could have been accepted but for one reason. The stand of M/s MSIL and the present respondents-assessees, not to bring the amount of Rs. 4,84,88,500/- to the extent of Rs. 3,84,88,500/- in the hands of the Company and to the extent of Rs. 1 crore 20 lakh in the hands of the respondents/assessees, all proceeded on the premise that the very amount had been offered by M/s MSL before the settlement commission as its undisclosed income but a perusal of the order passed by the settlement commission does reveal that it is not the entire amount that, is brought to tax as an undisclosed income of M/s MSL but it is only to the extent of Rs.2,65,04,626/-. We find that there is assumption based on which the tribunal allowed the appeal of the assessee viz., that the amount had been assessed as income of M/s MSL and that M/s MSL had also paid tax on this amount and this assumption is erroneous. 24. The Tribunal which had based its conclusion for such purpose, on the order passed by the settlement commission. But the order passed by the commission does not reveal at all the acceptance of the entire amount of Rs. 4,84,88,500/- as the undisclosed income of M/s MSL by way of its investment in the share capital in M/s MSIL nor does it indicate the determination of tax liability in the hands of M/s MSL in respect of the entire amount. The computation of tax by the settlement commission clearly shows that the tax is computed on the total undisclosed income of Rs. 2,65,04,626/-. 25. In fact that settlement commission has also given its reasons as to why it is accepting only a part of the amount offered. The settlement commission has also positively declined to give a direction to exclude the assessment of a sum of Rs. 20.00 lakhs each in the case of the respondents/assessees on the premise that the applicant M/s MSL was making an offer of Rs. 4,84,88,500/- as its undisclosed income for the reason that it cannot issue such directions in respect of persons not before the Commission and insofar as limiting the offer to a sum of Rs. 2,65,04,626/- the settlement commission noticed that such alone could have been the undisclosed income of the assessees in the earlier period and it had no income generated beyond this. It is not as contended by Mr Parthasarathy that because the commission was satisfied the other part of the investment in M/s MSIL had been explained, the offer made by M/s MSL before seeking settlement before the commission was accepted only to the extent of unexplained investment in the other company. On the other hand, that was not considered by the settlement commission but the settlement commission only examined the capacity and ability of the applicant before it for generating the income which was not disclosed and later making an offer before a commission for the settlement. For this purpose the settlement commission had examined the past conduct and transactions of the applicant M/s MSL. In the absence of any such discussion regarding the source of investment in M/s MSIL, only offer being made by M/s MSL – a remand for such purpose will be in our considered opinion a futile exercise and more over such an exercise if at all could have been in the case of very company M/s MSIL and not by either the present respondents/assesses or M/s MSL – an applicant and declarant before the settlement commission. Therefore, we decline the request for remanding the matter to the Tribunal. 26. In this view of the matter, we have to necessarily answer the question posed for determination m these appeals in the negative, against the assessee and in favour of the revenue. Appeals are allowed. The orders passed by the appellate Tribunal in all the five appeals are set aside and their applications for rectification stands rejected. Assessment orders passed by the Assessing Officer and affirmed by CIT (appeals) restored. This entry was posted in Section 154, Section 69 and tagged 360 ITR, In favour of Revenue, Karnataka High Court.